The way we think influences every aspect of our lives, but few of us stop to consider it closely. In fact, the underlying cause of most of our problems is the fact that we trust our intuition a little too much, and don’t fully consider how our own minds may have biases. This is known as fast thinking, and it usually happens unconsciously—half the time, we don’t even realize that it’s happening! 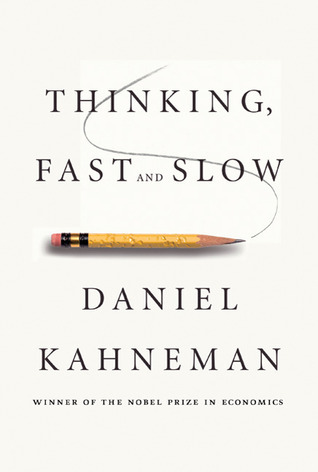 Thinking, Fast and Slow helps you identify the instances in which you are thinking too fast, and also teaches you how to think a little slower. Thinking slowly will enable you to make better decisions, as it allows you to view the situation clearly. This book names the biases of your intuition “heuristics,” and has several actions you can take to ensure that these heuristics do not affect your life negatively. We have eliminated the repetitive heuristics and compiled the rest into clear actions that you can implement in your daily life. Some actions will help you be more happy, some will help you with your problems, and some will even help you understand yourself and others better. Following through with even one of these actions will create a marked positive change in your life. Daniel Kahneman is an Israeli-American psychologist and winner of the 2002 Nobel Memorial Prize in Economic Sciences, notable for his work on behavioral finance and hedonic psychology. Understand your two main systems of thinking. Learn to identify if someone is interested. Go for a leisurely stroll every day. Know when to cut your losses. Take precautions when taking risks. Consider and prepare for the worst-case scenario. Avoid the illusion of validity. Write persuasive messages by putting your readers into a state of cognitive ease. Don’t leave yourself at the mercy of sampling luck. Do not jump the gun when making decisions. Do not make unbiased predictions. Use the substitution approach when faced with difficult problems.